It seems just like last year, this year too, two big Bollywood films will clash on Republic Day at the box office. Last year on the weekend of Republic Day it was the clash between Shahrukh’s ‘Raees’ and Hrithik Roshan’s ‘Kaabil’ and this year it’s going to be ‘Padman’ vs ‘Padmavat’. Earlier ‘Aiyaary’ was scheduled to be released with Padman but due to the release of ‘Padmavat’, the release of ‘Aiyaary’ had to be pushed forward. The makers of ‘Aiyaary’ realized that to come opposite of Padman and Padmavat would not be the most intelligent thing to do. Padman is directed by R Balki and Padmavat is directed by Sanjay Leela Bhansali. Here is our report and analysis on Padmavat and Padman box office Collection. Akshay Kumar is an ‘A-List’ actor and in last two years, his track record has proved that hardly any actors could match his success rate at the box office. Padman and Padmavat both are going to release on Thursday, 25th of January 2018. Padmavat was earlier scheduled to be released on 1st of December 2017 but due to the huge controversy, the makers of the movie decided to postpone the release. Due to the postpone the makers of the movie Padmavat suffered a huge loss in terms of promotion, marketing, interest factor and off-course box office collection. Multiplexes are allocating more shows to Padmavat because of the conditions surrounding that films. Earlier when Aiyaari was scheduled to release with Padman, it was decided that 60% shows will be given to Padman and 40% to Aiyaari but due to Padmavat intervention the figures changed completely and now Padmavat will get 60 percent shows and Padman will have to be satisfied with 40 percent shows. Padman director R.Baliki has chosen this topic because he wants to probably remove the taboo associated with the word Sanitary Napkins and Mensuration. 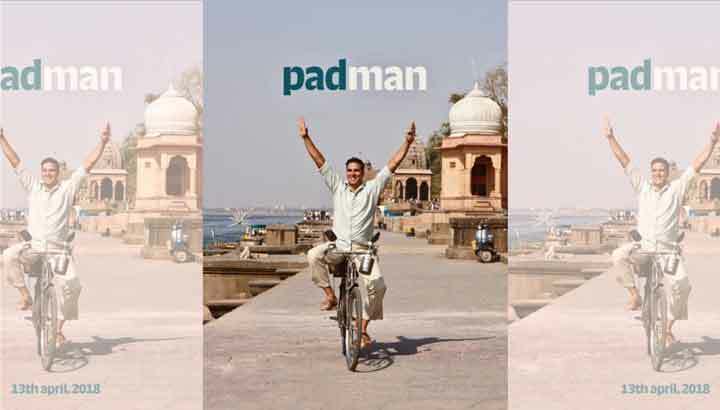 Yes, Padman can supersede Padmavat. But no one can exactly say that how Thursday and Friday will open up for both the films because only public decides which movie they like and which they did not. Here is our prediction on Padman Box Office Collection. In terms of budget, the budget of Padmavat is far more than Padman. Secondly, The director of Padmavat, Sanjay Leela Bhansali track record is far better than the Padman’s Director R.Balki. Thirdly, Padmavat holds big star cast as compared to Padman. Obviously, Padman is Akshay Kumar’s movie, who is a superstar but on the other hand, Padmavat also has three A-list actors like Ranveer Singh, Deepika Padukone, and Shahid Kapoor. On one hand, If we look at Akshay Kumar’s last two years of films, his choice has been absolutely outstanding. In that terms, there’s a lot of expectations from Padman. If his choice is as it was in 2016 and 2017 than Padman is surely going to be a superhit at the box office. On the other hand, Deepika Padukone and Ranveer Singh have also given many superhits in last two years. Sahid Kapoor may not have been so lucky but Shahid Kapoor’s last film Udta Punjab was a successful film. His choices of films may not have been so good but he is obviously an A-List actor. Padmavat break-even will be far ahead of Padman as the budget of Padmavat is far more than of Padman. So just to reach the break-even point, Padmavat has to do much more business at the box office. So which will be the biggest blockbuster of 2017, Padman or Padmavat? Do tell us your opinion through comments below.